Nokia re-entered in the smartphone market in January when the company launched their first Android powered smartphone Nokia 6 that comes with mid-range specifications and was launched in China and got huge response from the Nokia lovers around the world. The company also launched three more device including the Nokia 3, Nokia 5 and Nokia 3310 feature phone as well at the MWC 2017 event last month. The company also showcased the Nokia 6 smartphone at the Mobile World congress at announced the global launch of the device. The company is rumored to launch two new devices dubbed Nokia 7 and Nokia 8 pretty soon but we don't know when, but looks like we will soon see the launch of a new Nokia device as a new Nokia device has just got the clearance from the US FCC hinting towards an imminent launch of the device. 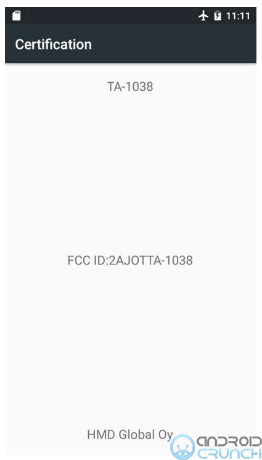 The new Nokia device that has got the FCC approval comes with the model number TA-1038 and it is manufactured by HMD Global Oy located in Finland and might be the Nokia 8 smartphone although we can't confirm if it is. 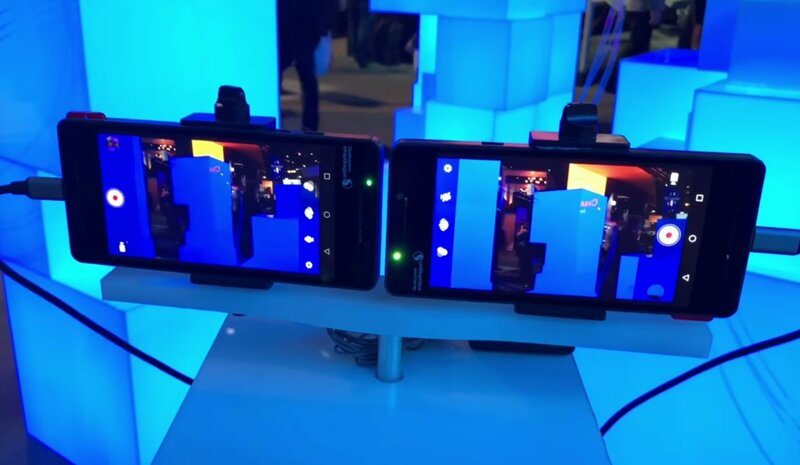 The FCC documents however doesn't have much details about the specifications of the device but it still confirms the availability of the 4G LTE with VoLTE, Bluetooth v4.2 LE, NFC, WiFi 802.11b/g/n, GPS and other connectivity options are also available. The FCC documents doesn't have any other details about the device and we also don't have any images from the device. The device is tested for different features as usual. As for the Nokia 8 and Nokia 7, new rumors claims that these device will feature a QHD display with a power of a Snapdragon 660 processor which is not announced yet. Both will feature a metal unibody design with thin bezels and will feature a larger camera sensor with the CarlZeiss lens. A fingerprint sensor is also expected and it will also support fast charging. The past rumors suggested that the Nokia 8 will have two variants with first one featuring a 5.7-inch QHD display and will be powered by a Qualcomm Snapdragon 835 processor along with 6GB of RAM and 64GB / 128GB internal storage options and up to 256GB MicroSD card storage slot. It will run on the Android 7.0 Nougat OS out of the box and will support Dual-SIMs. It will feature a 24-megapixel rear camera with OIS and Super EIS along with a 12-megapixel front facing camera. It will support 4G LTE with VoLTE and will also feature dual front speakers along with an led notification light. The high-end Nokia 8 Snapdragon 821 variant is also expected to launch and will feature a smaller display than the above SD835 one but will be powered by the Snapdragon 821 SoC. It will have 4GB of RAM and other details are currently not known. Stay tuned.